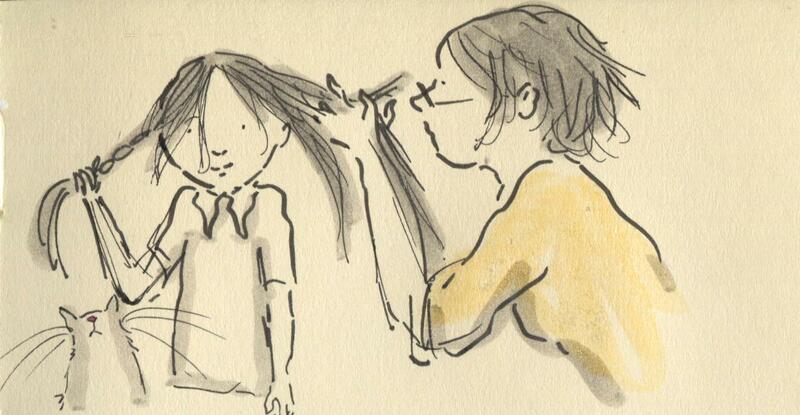 Posted on March 25, 2014, in Uncategorized and tagged Children, Doodlemum, Drawing, Family, Hair, Humour, Illustration, Life, Pen and Ink, Sketchbook. Bookmark the permalink. 4 Comments. It’s very fashionable, that “plait falling apart ” look, doesn’t she know?! Have you had your hair chopped too?